Physical characteristics: The California condor is one of the largest birds in North America and one of the rarest. They have black feathers except for a triangle of white under each wing. Adults also have red heads and necks and "collars" of fluffy black feathers at the bottom of its neck. California condors are between 46 and 53 inches (117 and 134 centimeters) long from their beaks to the end of their tails, and they weigh from 17 to 24 pounds (7.7 to 10.9 kilograms). been returned to the wild in the mountains of California, Arizona, Utah, and in Mexico just south of the border. Habitat: California condors roost and nest in mountains where strong winds allow them to fly long distances. They search for carcasses in open areas such as grasslands and beaches. Diet: Not only do California condors eat the carcasses of wild land mammals and farm animals, but they also look for dead ocean animals along the seashore. With their large, powerful beaks they are able to tear open the thick skins of these animals. Behavior and reproduction: California condors are curious birds, and they often find food by watching what other species are doing. Condors can travel hundreds of miles in a single day in search of food. At the age of five or six years, they find for a mate for life. The female lays one egg every other year in a cave or on a cliff ledge. Both parents incubate, sit on and warm the egg, which hatches after about fifty-six days. The parents care for the young bird long after it learns to fly at the age of six months. California condors and people: Before Europeans came to America, Native Americans along the California and Oregon coasts admired California condors and honored them in stories and art. They also used the birds' feathers and bones for ceremonies. As Europeans started to settle in the west, they shot, trapped, and poisoned condors because they thought the birds killed young farm animals. By the late twentieth century people realized that this was not true, but it was almost too late to save the birds from extinction. Alsop, Fred J. Smithsonian Handbooks: Birds of North America London, New York, Sydney: DK Publishing, Inc., 2001. Burton, Philip and Trevor Boyer. American Nature Guides, Birds of Prey. New York: Gallery Books, 1991. Grady, Wayne. Vulture: Nature's Ghastly Gourmet. San Francisco: Sierra Club Books, 1997. Johnson, Jinny. Vultures (Predators). Orlando: Raintree-Steck Vaughn, 2003. Kaufman, Kenn. Lives of North American Birds. New York: Houghton Mifflin Company, 1996. Kops, Deborah. Vultures (Wild Birds of Prey). Farmington Hills, MI: Blackbirch Marketing, 2000. Miller, Sara Swan. Birds of Prey: Falcons to Vultures (Animals in Order). Danbury, CT: Franklin Watts, 2001. Perrins, Christopher M. The Illustrated Encyclopedia of Birds. New York, London, Toronto: Prentice Hall Press, 1990. Proctor, Noble S. Manual of Ornithology, Avian Structure and Function. New Haven, CT, and London: Yale University Press, 1993. Rauzon, Mark J. Vultures (First Books—Animals). Danbury, CT: Franklin Watts, Incorporated, 1997. Schafer, Susan. Vulture (Remarkable Animals Series). Parsippany, NJ: Silver Burdett, 1995. Sibley, David Allen. National Audubon Society: The Sibley Guide to Bird Life & Behavior. New York: Alfred A. Knopf, 2001. Sibley, David Allen. National Audubon Society: The Sibley Guide to Birds. New York: Alfred A. Knopf, 2000. Turner, Ann Warren. Vultures. New York: David McKay Company, Inc., 1973. Wilbur, Sanford R., and Jerome Jackson. Vulture Biology and Management. Berkeley, Los Angeles, London: University of California Press, 1983. "California Condors." National Parks (January/February 2001): 25.
de Roy, Tui and Mark Jones. "King of the Jungle." International Wildlife (November/December 1998): 52-57. Houston, David C. "To the Vultures Belong the Spoils." (turkey vultures) Natural History (September 1994): page 34-41. Hudson, Laura. "Diverse Challenges in the Intermountain Region." 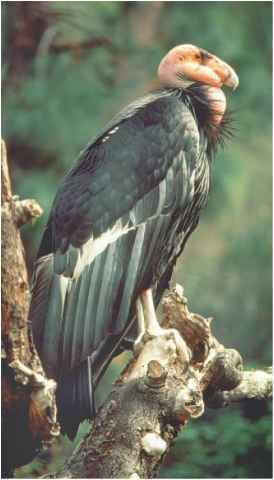 (California condors and other species) Endangered Species Update March/April 2002): 14-15. "Insight: King Vultures." Current Science (February 11, 2000): 2. Mealy, Nora Steiner. "Adventures of Ranger Rick: California Condors." Ranger Rick (February 2002): 18-20 and (March 2002): 18-20. Miller, Claire. "It's Great to be Gross." (vultures) Ranger Rick (October 2001): 14-19. Montgomery, Sy. "Heavenly Scavengers: Turkey Vultures." Animals (March 2000): 26. "Nature's Street Cleaners." Audubon (January 2000): 16. "On the Comeback Trail?" Ranger Rick (August 2003): 20. "Rain Forest Ruler: The King Vulture." National Geographic (September 1999): Preceding page 1. Richman, Elaine A. "Saving the California Condor." National Geographic World (June 2002): 20-21. Snyder, Noel F. R., and N. John Schmidtt. "The Birds of North America, California Condor, No. 610." Cornell Laboratory of Ornithology and The Academy of Natural Sciences (2002): 1-34. Weingarten, Tara. "Environment: Congratulations! It's a Baby Condor!" Newsweek (August 18, 2003): 10. Attwood, Erin Jane. "Cathartes aura (Turkey Vulture)." Animal Diversity Web. 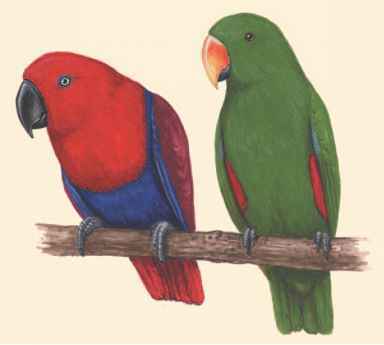 http://animaldiversity.ummz.umich.edu/site/accounts/information/ Cathartes_aura.html (accessed on April 27, 2004). "California Condor Restoration." The Peregrine Fund. http://www. peregrinefund.org/notes_condor.html (accessed on April 27, 2004). "California Condors Return to Mexico." U.S. Fish & Wildlife Service News Release. http://news.fws.gov/newsreleases/r1/33CCBB36-A3BD-46F7-93D11782CE63D3AD.html (accessed on April 27, 2004). "Endangered Species, Condors." U.S. Fish & Wildlife. http:// endangered.fws.gov/50cfr_animals.pdf (accessed on April 27, 2004). "King Vulture." The Belize Zoo. http://www.belizezoo.org/zoo/zoo/birds/ vul/vul1.html (accessed on April 27, 2004). Kohlmoos, Bill. "Some Interesting Information About the Turkey Vulture." The Turkey Vulture Society. http://www.accutek.com/vulture/facts.htm (accessed on April 27, 2004). "New World Vultures, Cathartidae." MontereyBay.com. http://www. montereybay.com/creagrus/vultures.html (accessed on April 27, 2004). Rainforest Alliance Learning Site. "King Vulture." Rainforest Alliance. http://www.rainforest-alliance.org/programs/education/elsalvador/ species-profiles/king-vulture.pdf (accessed on April 27, 2004).